Chelsea want to sign Gonzalo Higuain by midday tomorrow. The Blues are hoping that Higuain can play a part against Arsenal. Chelsea are attempting to get Gonzalo Higuain through the door before 12pm on Friday so that he will be registered in time to face Arsenal this weekend, according to Standard Sport. Higuain signing for Chelsea this month looks to now be a matter of when. The deal appeared complicated at first, but Maurizio Sarri’s persistence looks to have convinced Marina Granovskaia to get it done. It has been claimed that Chelsea and Juventus have agreed terms for Higuain’s loan, with the Argentine set to join on an initial six-month loan, with the possibility of extending it for a further 12-months. 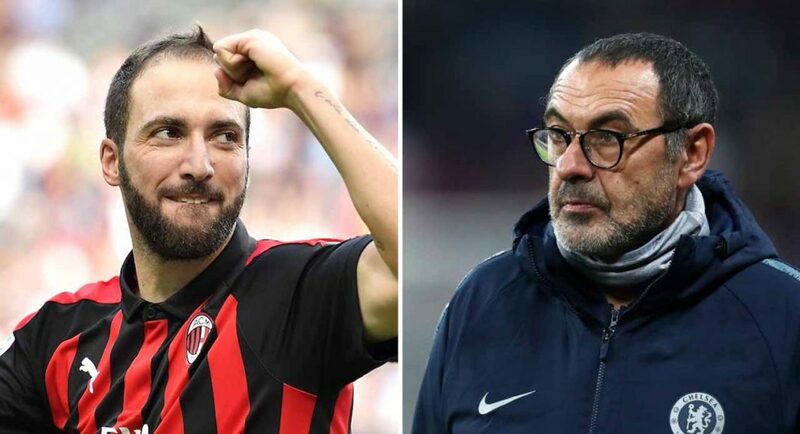 Standard Sport echo the claims that Higuain is close to becoming a Chelsea player, and even go as far as suggesting that the club want to get it done before the clock strikes midday on Friday afternoon. Chelsea face Arsenal at the weekend and Higuain’s inclusion would be a real boost for us. Whether we are able to get the paperwork finalised by that time, we’ll have to wait and see.